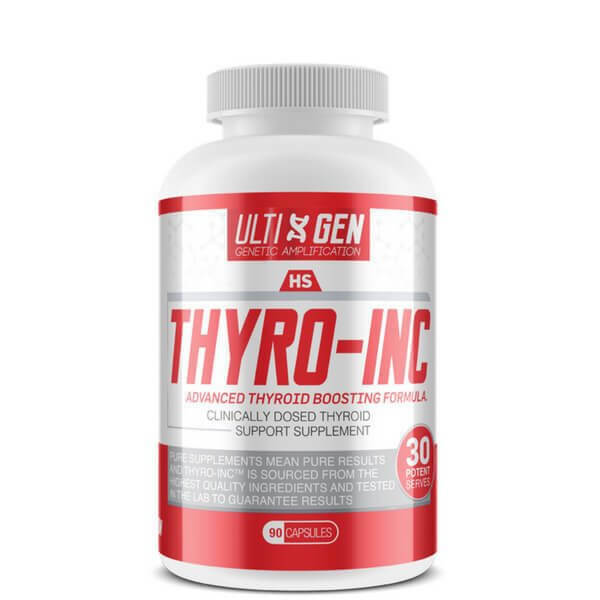 Maximize Energy Levels and Optimize Healthy Thyroid Function with ULTI-GEN’S THYRO-INC.
THYRO-INC is a clinically dosed Thyroid Boosting formula designed to help regulate the metabolism of fats, proteins, and carbohydrates by allowing these compounds to be more efficiently burned as energy. This advanced formula is the missing ingredient in your weight loss journey, with its high dosage of proven botanicals and scientifically backed ingredients, it is designed to help you achieve the lean physique you are after by efficiently promoting healthy thyroid function. Formulated with ULTI-GEN’S Thyroid Boosting Matrix, THYRO-INC will efficiently regulate thyroid function while helping you maximise weight loss. Take 3 Capsules once a day with the main meal. Do not consume on an empty stomach. THYRO-INCTM is a Highly Potent Formula. Use only as recommended.